20 February IAHA 2019 Special General Meeting Web Conference. 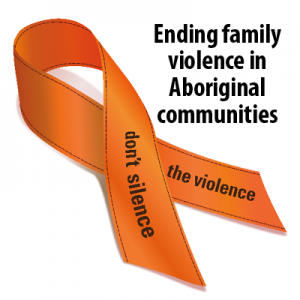 The Ochre Ribbon Campaign is an initiative supported by the National Family Violence Prevention Legal Services Forum and its member organisations across Australia, including Djirra. 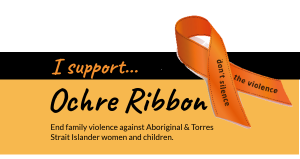 The Ochre Ribbon Campaign raises awareness of the devastating impacts of family violence in Aboriginal and Torres Strait Islander communities and calls for action to end the violence against Aboriginal and Torres Strait Islander people – especially our women and children. Start conversations on how violence against Aboriginal and Torres Strait Islander women devastates communities and destroys families. In comparison with other women, Aboriginal and Torres Strait Islander women are 32 times more likely to be hospitalised from family violence and 10 times more likely to be killed as a result of violent assault. use the information from the National Forum to help you. 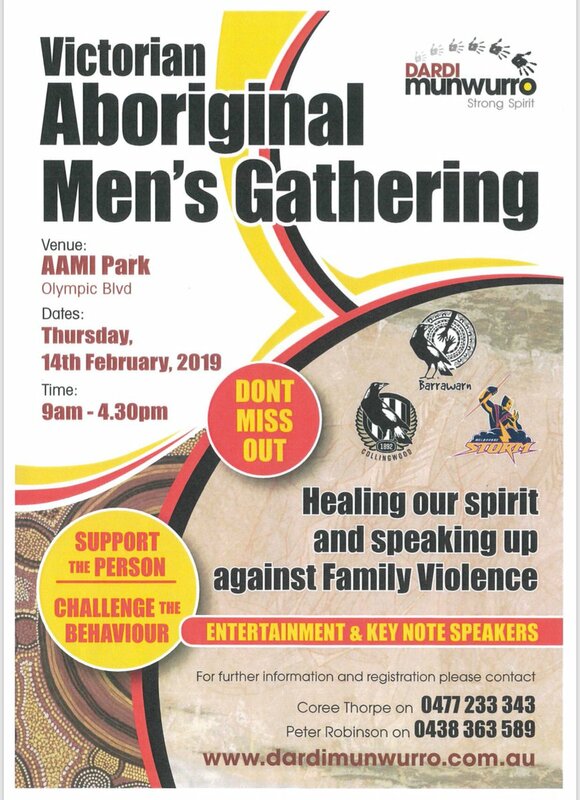 Djirra has been chosen to be the charity partner of the next Overcoming Indigenous Family Violence conference organised by Aventedge in Melbourne on the 12th and 13th of March. On the first day, Tuesday 12th of March, Marion Hansen, Djirra’s chairperson, will give the opening and closing address. At 10.30am, Djirra’s CEO Antoinette Braybrook will share her experience and knowledge on Supporting Aboriginal women, their children and communities to be safe, culturally strong and free from violence. 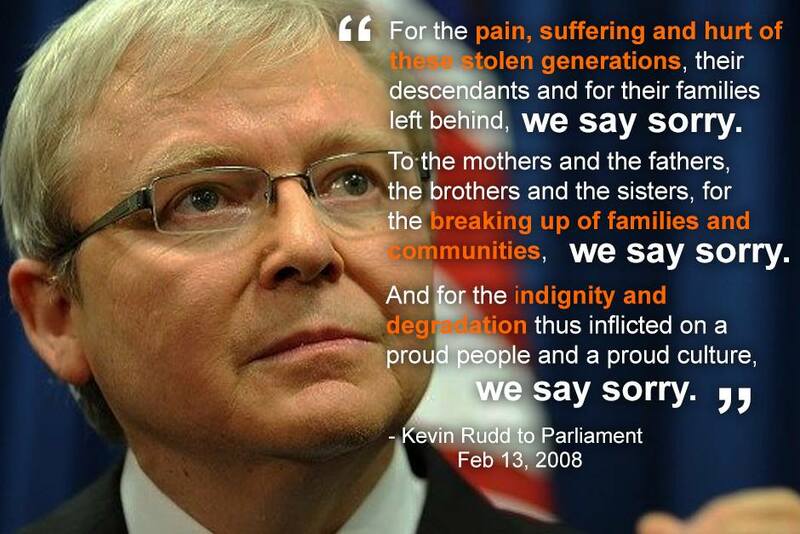 Family violence against Aboriginal and Torres Strait Islander people, predominantly women and their children, is a national crisis. Aboriginal and Torres Strait Islander communities and their organisations hold the solutions to ending the disproportionate rates of family violence. However this requires the support and involvement of a range of stakeholders around the country. The 5th annual Overcoming Indigenous Family Violence Forum (Melbourne & Perth) has partnered with Djirra and brings together representatives from Aboriginal and Torres Strait Islander Community Controlled Organisations, specialist family violence support and prevention services, community legal services, government, police and not-for-profit organisations. 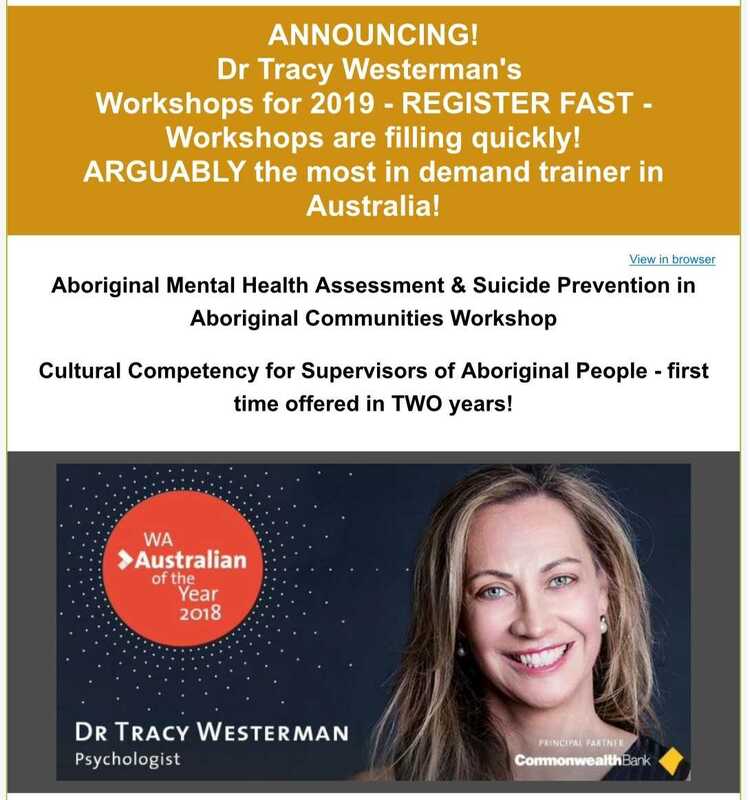 During the course of this conference and 1-day workshop, we will explore critical issues in working to end family violence against Aboriginal and Torres Strait Islander people, including state and federal government initiatives; how frontline services are engaging in prevention, early intervention and response; learning from the stories and experiences of survivors of family violence; working more effectively with people who use violence towards accountability and behaviour change and the impacts of family violence on children and young people. 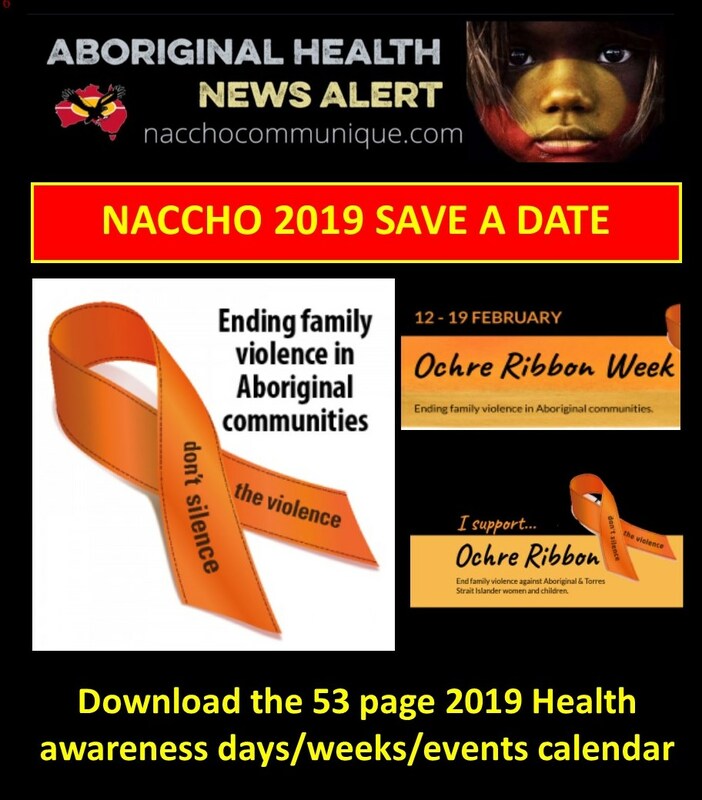 For many years ACCHO organisations have said they wished they had a list of the many Indigenous “ Days “ and Aboriginal health or awareness days/weeks/events. With thanks to our friends at ZockMelon here they both are! It even has a handy list of the hashtags for the event. We hope that this document helps you with your planning for the year ahead. 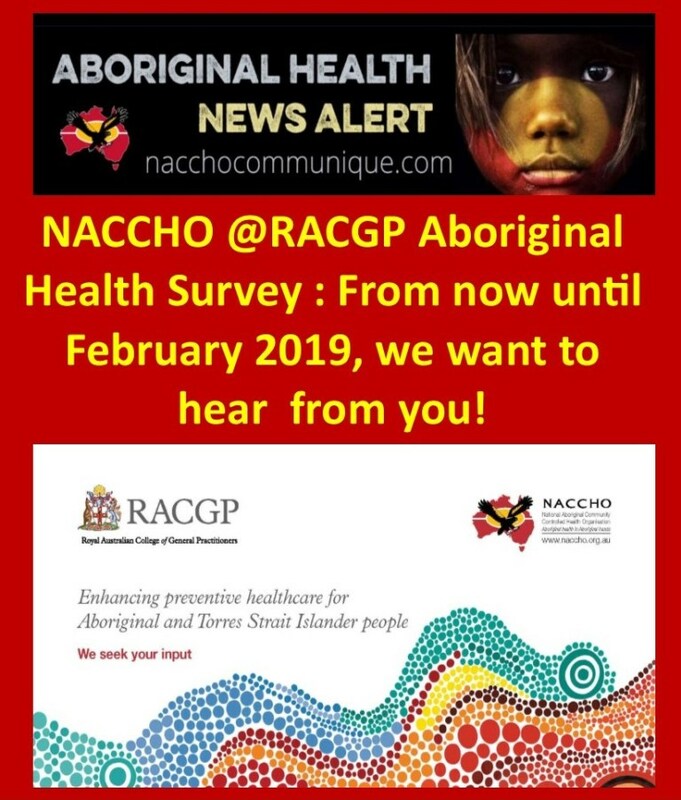 In 2018–19, NACCHO and the RACGP are working on further initiatives and we want your input! The Indigenous Allied Health Australia Ltd (IAHA) Board would like to thank you for your continued support of IAHA and invite you to participate in the special General Meeting of IAHA to be held at 1:00 pm (Canberra time) on Wednesday 20 February 2019 at Units 3-4, Ground Floor, 9-11 Napier Close, Deakin ACT 2600. Members have the option to attend the General Meeting using “Zoom” remote conferencing services by video or voice link. Instructions to help use Zoom are available here and detailed below. a copy of IAHA’s company constitution, with marked-up text to show the proposed changes to be considered by Members, click here. Members will be required to use their own computer hardware and software to access this facility and are solely responsible for connecting to the conference by 1:00 pm (Canberra time) on the meeting day. Members who plan to attend the meeting either in person or through Zoom are asked to register for the meeting. Please email the Company Secretary at secretary@iaha.com.au to register, preferably by 1:00pm Monday 18 February 2019. 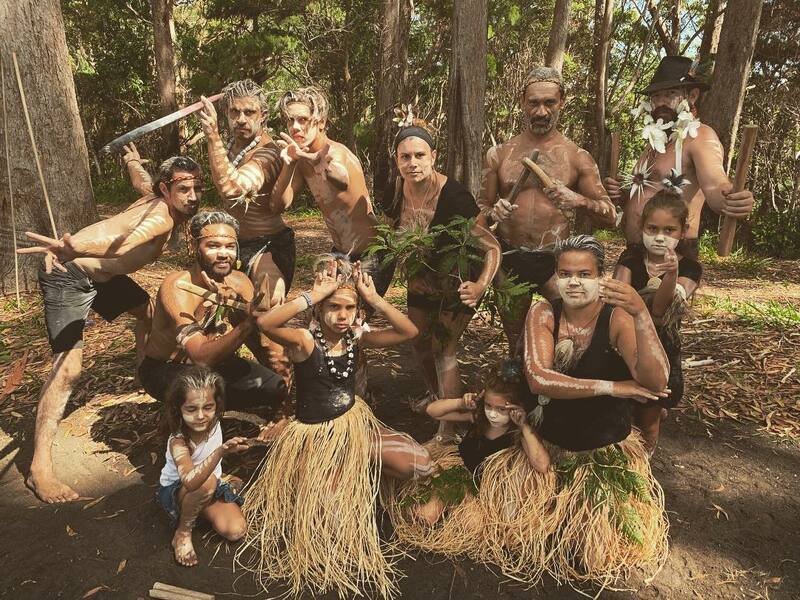 Please join us in the evening on Thursday the 21st of February 2019 for a Gumbaynggirr Cultural Show. Through the QUMAX program (Quality Use of Medicines for Maximised for Aboriginal and Torres Strait Islander people), Galambila AHS will be hosting a cultural event for pharmacists, pharmacy assistants and health professionals in Coffs Harbour to learn more about our local indigenous culture. QUMAX Cultural Awareness activities aim to improve culturally sensitive care for Aboriginal clients and enhance the working relationship between Galambila and local pharmacies. Please RSVP by COB on Monday 18th of February 2019 via Eventbrite. Get in quick as places will be limited! 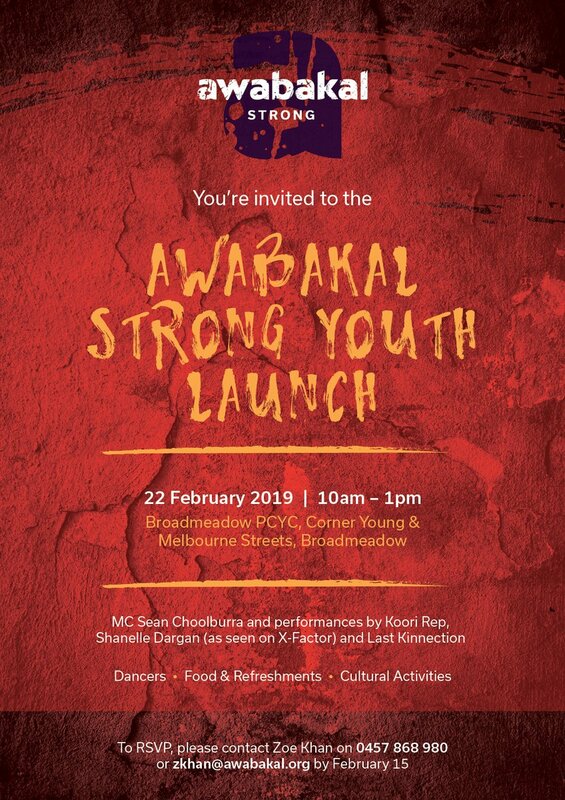 Featuring MC Sean Choolburra and performances by Koori Rep, Shanelle Dargan (as seen on X-Factor) and Last Kinnection. RSVP: 0457 868 980 or zkhan@awabakal.org by February 15. The Port Macquarie Running Festival is happening over the weekend of the 9th-10th March 2019. As a part of this event we are running a fundraiser to support the important work being undertaken by Charlie & Tali Maher as a part of the Indigenous Marathon Project Running And Walking group. 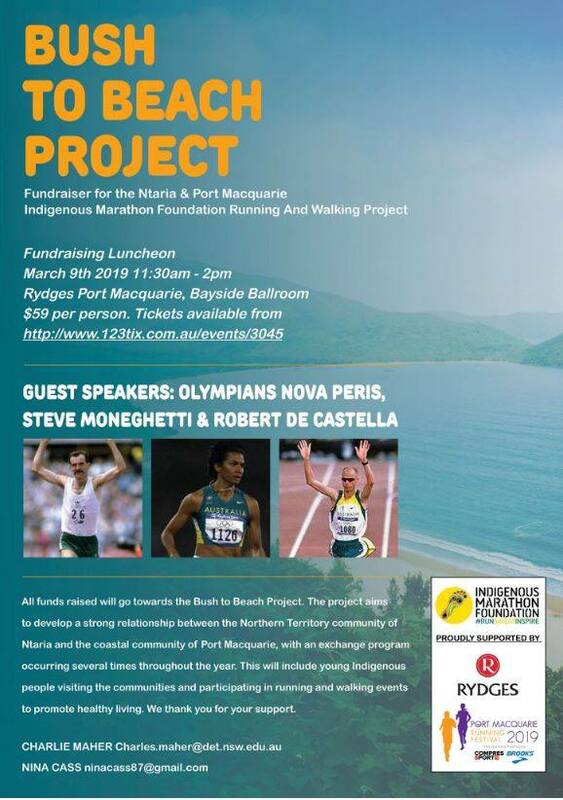 Come along to hear from Olympians Nova Peris, Steve Moneghette & Robert de Castella while meeting members of the Indigenous Marathon Project over lunch. We hope to see you there. to promote healthy living. We thank you for your support. Guest Speakers: Olympians Nova Peris, Steve Moneghetti & Robert de Castella. Indigenous Eye Health (IEH) at the University of Melbourne and co-host Aboriginal Medical Services Alliance Northern Territory (AMSANT), are pleased to invite you to register for the Close the Gap for Vision by 2020:Strengthen & Sustain – National Conference 2019 which will be held at the Alice Springs Convention Centre on Thursday 14 and Friday 15 March 2019 in the Northern Territory. This conference is also supported by our partners, Vision 2020 Australia, Optometry Australia and the Royal Australian and New Zealand College of Ophthalmologists. The 2019 conference, themed ‘Strengthen & Sustain’ will provide opportunity to highlight the very real advances being made in Aboriginal and Torres Strait eye health. It will explore successes and opportunities to strengthen eye care and initiatives and challenges to sustain progress towards the goal of equitable eye care by 2020. To this end, the conference will include plenary speakers, panel discussions and presentations as well as upskilling workshops and cultural experiences. Registration (including workshops, welcome reception and conference dinner) is $250. Registrations close on 28 February 2019. The conference is designed to bring people together and connect people involved in Aboriginal and Torres Strait Islander eye care from local communities, Aboriginal Community Controlled Health Organisations, health services, non-government organisations, professional bodies and government departments from across the country. We would like to invite everyone who is working on or interested in improving eye health and care for Aboriginal and Torres Strait Islander Australians. Speakers will be invited, however this year we will also be calling for abstracts for Table Top presentations and Poster presentations – further details on abstract submissions to follow. Please share and forward this information with colleagues and refer people to this webpage where the conference program and additional informationwill become available in the lead up to the conference. Note: Please use the conference hashtag #CTGV19. We look forward to you joining us in the Territory in 2019 for learning and sharing within the unique beauty and cultural significance of Central Australia. If you have any questions or require additional information, please contact us at indigenous-eyehealth@unimelb.edu.au or contact IEH staff Carol Wynne (carol.wynne@unimelb.edu.au; 03 8344 3984 email) or Mitchell Anjou (manjou@unimelb.edu.au; 03 8344 9324). 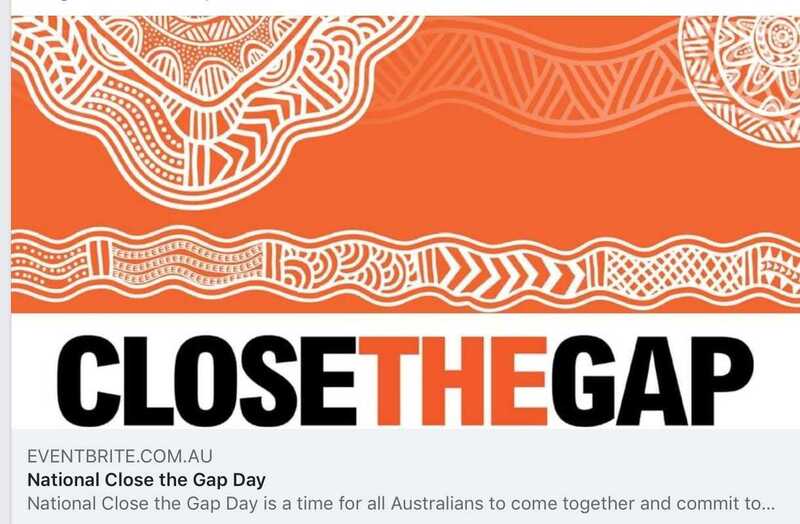 National Close the Gap Day is a time for all Australians to come together and commit to achieving health equality for Aboriginal and Torres Strait Islander people. 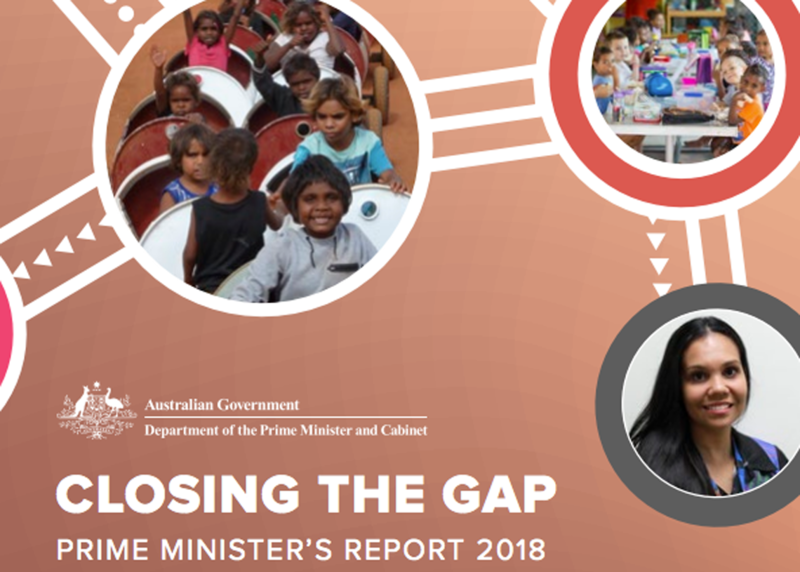 The Close the Gap Campaign will partner with Tharawal Aboriginal Aboriginal Medical Services, South Western Sydney, to host an exciting community event and launch our Annual Report. The Australian Society of Otolaryngology Head and Neck Surgery is hosting a workshop on Indigenous Ear Health in Brisbane on Thursday, 21 March 2019. This meeting is the 7th to be organised by ASOHNS and is designed to facilitate discussion about the crucial health issue and impact of ear disease amongst Indigenous people. The meeting is aimed at bringing together all stakeholders involved in managing Indigenous health and specifically ear disease, such as: ENT surgeons, GPs, Paediatricians, Nurses, Audiologists, Speech Therapists, Allied Health Workers and other health administrators (both State and Federal). Interested in the health and wellbeing of rural or remote Australia? This is the conference for you. 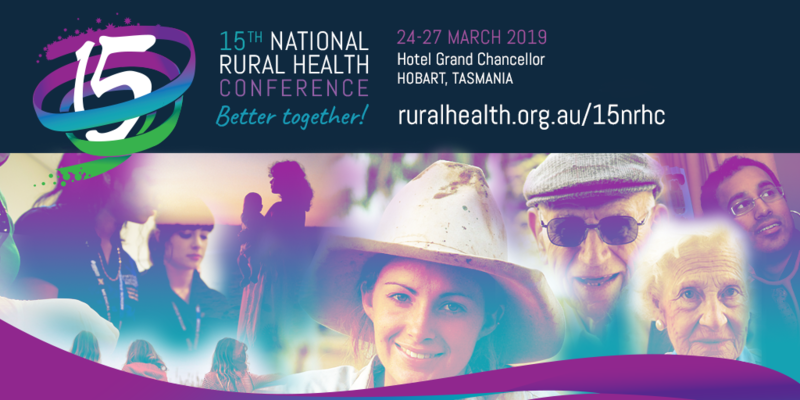 In March 2019 the rural health sector will gather in Hobart for the 15th National Rural Conference. Every two years we meet to learn, listen and share ideas about how to improve health outcomes in rural and remote Australia. 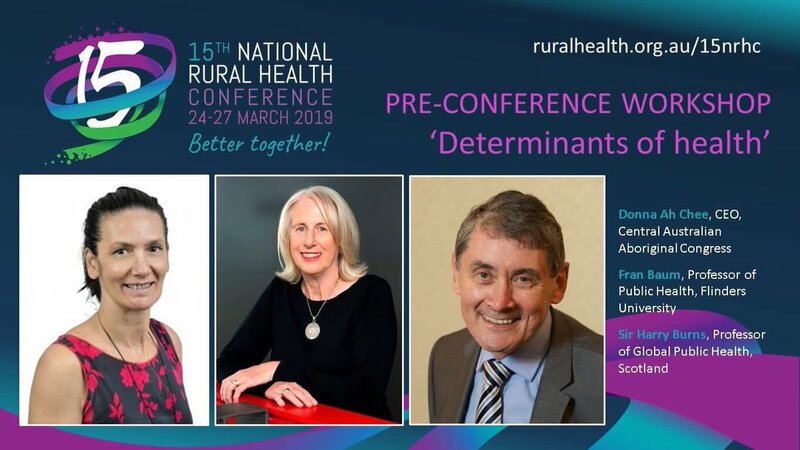 Proudly managed by the National Rural Health Alliance, the Conference has a well-earned reputation as Australia’s premier rural health event. Not just for health professionals, the Conference recognises the critical roles that education, regional development and infrastructure play in determining health outcomes, and we welcome people working across a wide variety of industries. 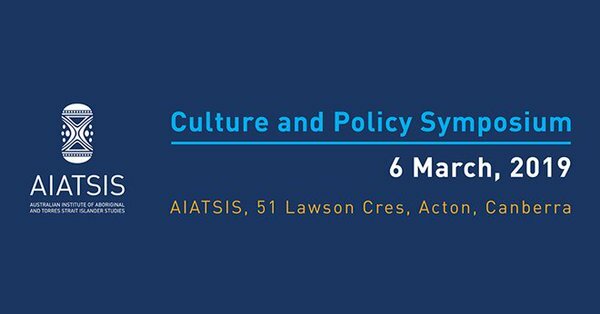 Join us as we celebrate our 15th Conference and help achieve equitable health for the 7 million Australians living in rural and remote areas. Hobart and its surrounds was home to the Muwinina people who the Alliance acknowledges as the traditional and original owners of this land. We pay respect to those that have passed before us and acknowledge today’s Tasmanian Aboriginal community as the custodians of the land on which we will meet. Thank you for your interest in the 2019 World Indigenous Housing Conference. Academics in Housing, Healthcare, and Education. 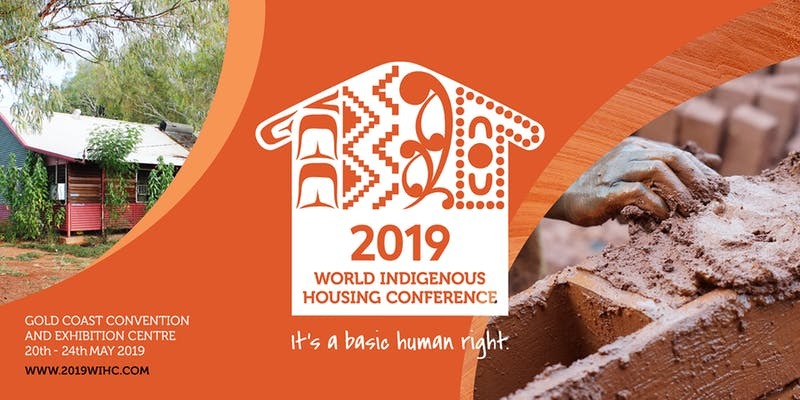 The 2019 World Indigenous Housing Conference #2019WIHC is the principal conference to provide a platform for leaders in housing, health, education and related services from around the world to come together. Up to 2000 delegates will share experiences, explore opportunities and innovative solutions, work to improve access to adequate housing and related services for the world’s Indigenous people. 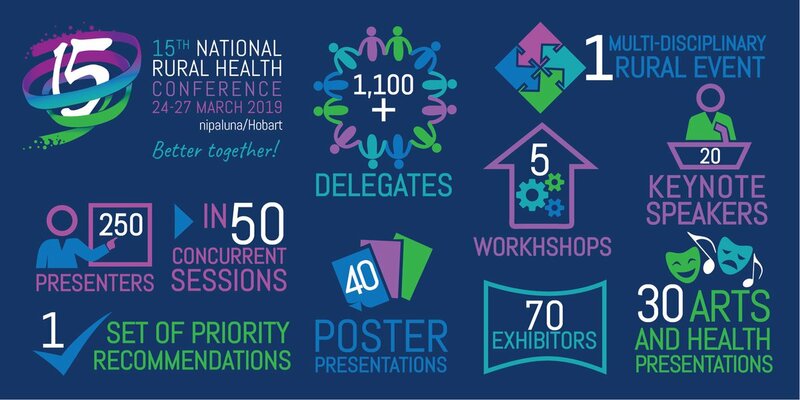 Please visit www.2019wihc.com for further information on transport and accommodation options, conference, exhibition and speaker updates. 2019WIHC online registrations accept all major credit cards, by Invoice and direct debit. PLEASE NOTE: Invoices must be paid in full and monies received by COB Monday 20 May 2019. Please note: The 2019 WIHC organisers reserve the right of admission. Speakers, programs and topics are subject to change. Please visit http://www.2019wihc.comfor up to date information. If a registrant is unable to attend 2019 WIHC for any reason they may substitute, by arrangement with the registrar, someone else to attend in their place and must attend any session that has been previously selected by the original registrant. Registrations cancelled less than 60 days, but more than 30 days before the event are eligible for a 50% refund of the registration fees paid. Registrations cancelled less than 30 days before the event are no longer eligible for a refund. For all other payments, a bank transfer will be made to the payee’s nominated account. Important: For payments received from outside Australia by bank transfer, the refund will be made by bank transfer and all bank charges will be for the registrant’s account. The Cancellation Policy as stated on this page is valid from 1 October 2018. 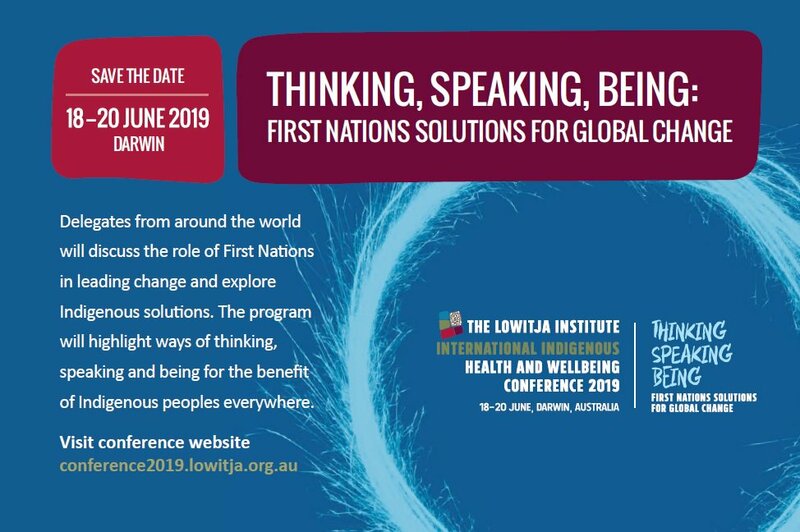 At the Lowitja Institute International Indigenous Health and Wellbeing Conference 2019 delegates from around the world will discuss the role of First Nations in leading change and will showcase Indigenous solutions. The conference program will highlight ways of thinking, speaking and being for the benefit of Indigenous peoples everywhere. Join Indigenous leaders, researchers, health professionals, decision makers, community representatives, and our non-Indigenous colleagues in this important conversation. The opening of the 2019 National NAIDOC Grant funding round has been moved forward! 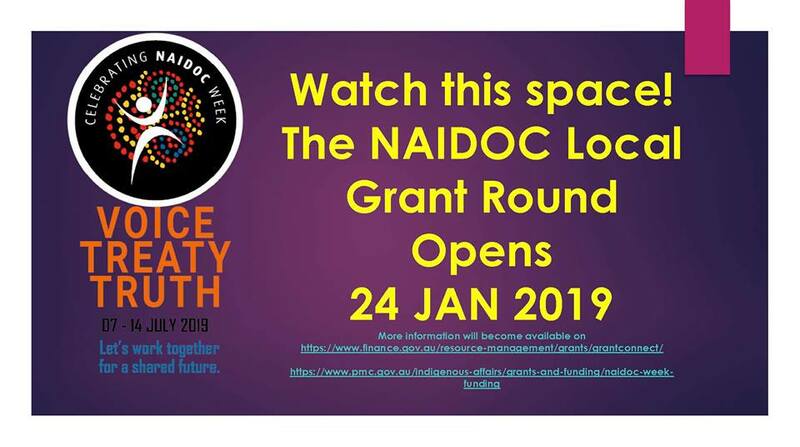 The National NAIDOC Grants will now officially open on Thursday 24 January 2019. Head to www.naidoc.org.au to join the National NAIDOC Mailing List and keep up with all things grants or check out the below links for more information now! 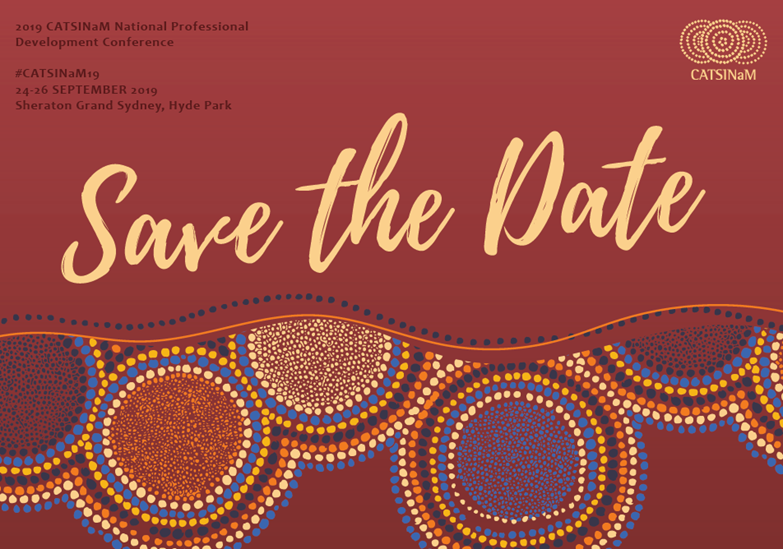 The 2019 CATSINaM National Professional Development Conference will be held in Sydney, 24th – 26th September 2019. Make sure you save the dates in your calendar. 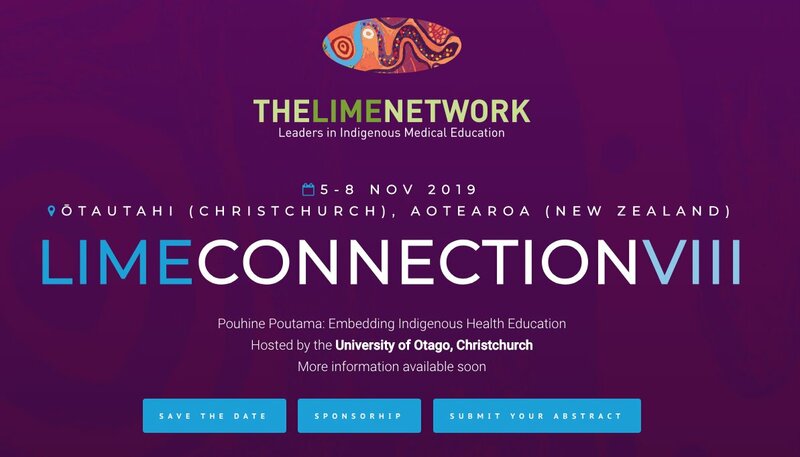 This years #LIMEConnection whakatauki (theme for the conference) was developed by the Scientific Committee, along with Māori elder, Te Marino Lenihan & Tania Huria from @otago.